The WWF-UK Headquarters: Living Planet Centre has been named as the 2014 Overall Winner at last night's Concrete Society Awards in London. The awards recognise excellence in the use of concrete in buildings throughout the UK. The new building sits on a raised in-situ concrete podium, whose perimeter has been planted with shrubs, trees and flowers. It houses an open-plan workplace for some 300 staff, a 150-seat conference venue, education support facilities and the WWF Experience exhibit. 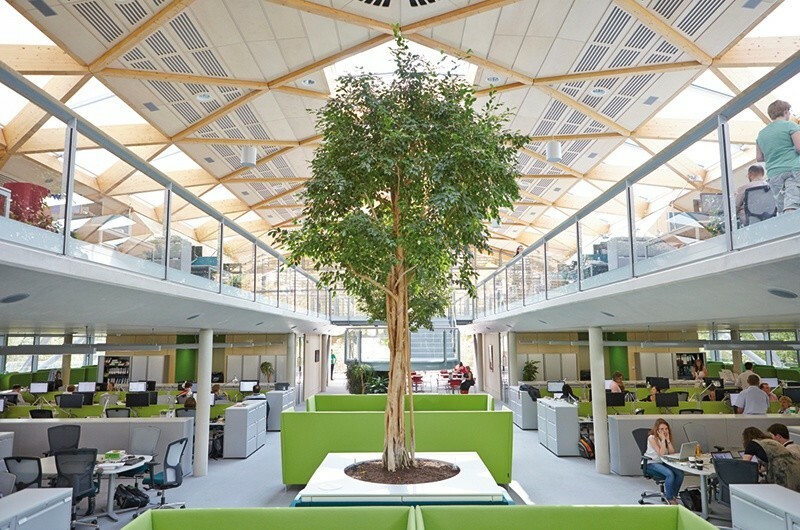 The design for the headquarters aims to maximise on-site sustainable features and has been awarded the BREEAM Outstanding rating.